Everyone has done it before, you are sitting in the kitchen looking longingly at some ice cream. You say you are not going to eat it, but 20 minutes later you are through the entire container. Imagine this but to a much greater degree and volume. That is what is known as overeating. The technical definition for overeating is “excess food consumed in relation to the energy that an organism expends (or expels via excretion), leading to weight gaining and often obesity.” While it is alright to indulge every once in a while, overeating can be very unhealthy and dangerous when it happens too often. The most obvious side effect of overeating is obesity. The United States, in particular, is struggling with obesity and overeating, with 37.7% of adults being considered obese on a Body Mass Index chart. In addition to overeating, obesity is caused by lack of physical activity. However, overeating has a much greater effect on one’s weight. While it can be combatted with diet and exercise, obesity is still a major issue. According to Gary Preacher from www.hcgdiet.com, eating your food more slowly will help you know when you’re full so you won’t overeat. This will help to limit the effect of the magnitude of overeating. Boyd Swinburne, who is the chair of population health and director of the World Health Organization Collaborating Centre for Obesity Prevention at Deakin Univesity says that adults would need to cut 500 calories out of their diet to return to the average weight of an adult in the 1970s. This extra weight puts more stress on one’s muscle and can make them feel tired, lazy, irritated, or have various joint and muscle pains. 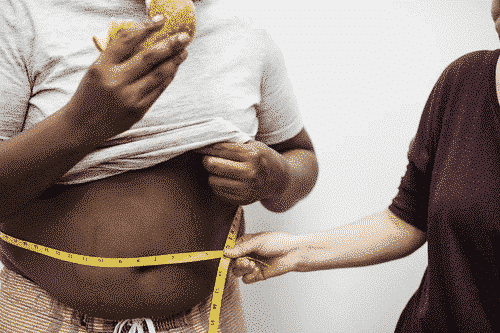 Along with the health downsides of obesity comes social downsides. People who put on more weight tend to worry more about their image or lose self-confidence. Sometimes, obese people are even being harassed by others. People who are obese are less likely to be in a romantic relationship in addition to all of these other negative social stigmas. Obesity also causes diseases, including, but not limited to, sleep apnea, cancer, and metabolic syndrome. All of these are fatal, with sleep apnea and metabolic syndrome, possibly causing stroke and heart issues. The first internal effect of overeating is in the stomach. The stomach has neurological tissue at the top that tells the brain when it is full. People who overeat too much can cause this tissue to become nonfunctional. This can lead to people eating despite being full. Because these people are continually eating so much food, their pancreas keeps producing insulin. Due to a large amount of insulin produced, our overeater now has low blood sugar and will feel tired, dizzy, nauseous, or even depressed. The liver is also affected by overeating. Any calories that are not used can be stored in the liver, causing it to become fatter. Once one’s liver is bloated enough, it might be resistant to insulin and could cause diabetes. Lastly, the heart becomes affected. The heart has to pump harder to provide blood to all of a consistent overeater’s body. This can lead to heart problems. Overeating also causes more fat to flow through one’s bloodstream. This fat can build up in the arteries and can lead to Atherosclerosis. 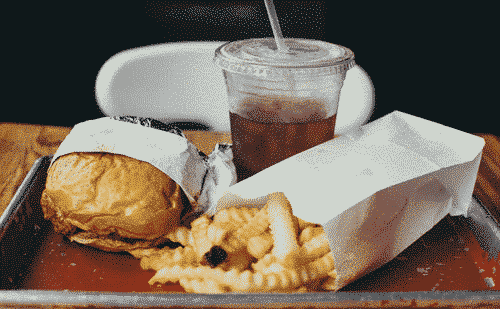 Overeating can lead to mild cognitive impairment (memory loss) later in one’s life. This memory loss is mostly caused by dementia. A study shown at the American Academy of Neurology annual meeting showed that consuming over 2,000 calories a day doubled the chance of memory loss in adults over the age of 70. An omega-3 fatty acid called DHA is one way to combat the onset of memory loss. This can be found in fish oil, which also helps to prevent other diseases caused by obesity such as diabetes and heart disease. Overeating may also cause depression. In an attempt to fill the missing space, one may turn to binge eating. This will leave them regretting eating so much and they will try to lose that weight as fast as possible, whether it is by taking laxatives or vomiting. However, this can be stopped by seeing a therapist, who might reference another doctor. These people might suggest different medications or lifestyle changes, including reducing stress, exercising regularly, and avoiding the temptation of unhealthy foods. Overall, overeating is very dangerous. It can cause many diseases and health issues if one consistently overeats. While it can be controlled and stopped, it is very difficult and will take time.